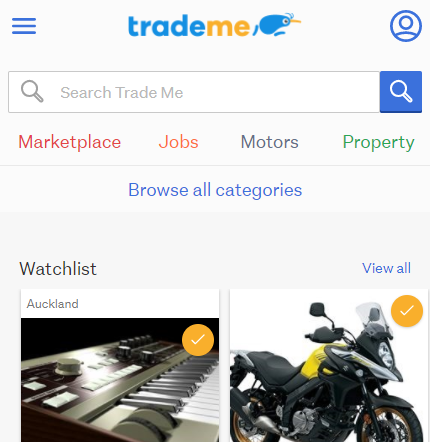 Here at Trade Me, we’ve been working on a new Angular application to replace our current ASP.NET front-end! The application was originally implemented in AngularJS, but due to its below-par performance, we’ve been working hard to upgrade the codebase to the new, shiny version of the Angular framework. Having this degree of test coverage makes us confident that we can safely recreate the first version of the app, so being able to easily write (and maintain) tests is critical. We have some really exciting stuff to share about all our different test automation approaches, but for this post we’re going to focus our new auto-mocking tool ineeda! An example of using ineeda to make a mock Hero object. A unit test is a piece of code that tests the smallest possible part of a larger system. We write new unit tests when we are building features or fixing bugs, and we run them regularly to make sure we haven’t unexpectedly broken anything! If we have a failing unit test it means that something definitely broke. If they all pass, we can be reasonably confident that it’s okay for the work to move along to the next step in our Quality Assurance process. Chai — an extensible assertion library for validating test expectations. The DateTimePipe is an ideal unit of code. It has no dependencies, and is “pure”, so it’s fairly easy to test its behaviour in isolation. More often than not, though, the code we want to test depends on other things, such as services, components, or models. That makes it more difficult to break down the code into a testable unit. Thankfully, the Angular framework is designed to make this easy for us! It uses a technique called Dependency Injection (DI). The Car class. Not that it is responsible for creating its own engine. Whenever we call new Car() we get a new Car back (surprise! ), which is great, and works fine. But what happens if we want to make a car with a different type of engine, say, a hybrid? We have to change our Car constructor to make a hybrid engine. What if we then want to make a fully electric car? You can see that this current implementation isn’t very flexible. The Engine class. This class defines the general “shape” of an engine. The BetterCar class. It doesn’t create its engine, it just expects to be given an object that looks like an Engine. Now we can be more flexible! Creating several different types of car just by passing a different sub-type of Engine. The BettererCar class. In addition to taking some kind of Engine, it also expects a Stereo and some Wheels. This is a rather silly example, but it exemplifies a pretty powerful idea. By passing in the dependencies from outside, we can be more flexible with how we make up larger things. Dependency Injection in Angular is controlled using Injection Tokens and Providers. An Injection Token is an object which is used to look up a dependency. In our above example the token would be the Engine class (or Stereo or Wheels). A Provider is a bit of configuration that tells Angular what to provide when given an Injection Token. A test for the MemberSummaryComponent. It uses the real MemberService, and is therefore not an isolated unit test. Without going into too much detail of the implementation of MemberSummaryComponent, we can infer from the test that it calls the MemberService to get information about the member, and does some sort of calculation to get the feedbackScore. That is totally reasonable, but a bit problematic from a testing point of view, in that it uses the real MemberService. We need to have control over the member data for this test, so we need to be able to control what the MemberService does. This configuration tells Angular to provide the object declared in the “useValue” field instead of the real MemberService. Now whenever Angular sees the MemberService injection token, it uses the object declared in the useValue field instead of the real MemberService. That means our fake member object will be returned when MemberSummaryComponent calls getMember() and we can therefore control the environment and data for our test. We have successfully turned this test into a unit test by providing a different, more simple implementation of the MemberService. For more detailed info on unit testing in Angular, check out this article by Pascal Precht, or this one by Gerard Sans. This simple implementation is an example of what is known as a test double. Test doubles are often referred to as “stubs”, or “fakes”, but they can be generically described as “mocks”. Using useValue means that all the tests will share the same mock object. That means the tests will share state, which is bad! Different components that use the same service will want to mock that service too. Different tests for that one component will likely want different data. We want to be sure our mock actually matches the type of the dependency we are providing for. The above example is completely untyped! An example of a mock class. This is our mock implementation of the MemberService. Methods throw errors by default — throw new MockNotStubbedError() The string that is passed to the error is primarily to help when debugging tests, so you can see which method hasn’t been stubbed out. A better test for the MemberSummaryComponent. It uses a mock implementation of the MemberService. It’s not all sunshine and butterflies though. While there are some good ideas here, there are some new problems too. Changing the real implementation of the real service is now significantly more annoying. Add a property? You need to add it to the mock. Change a method name? You have to remember to update the error thrown by the mock too, or you’ll get lost trying to find a method that doesn’t exist anymore. And we have a lot of dependencies, so our AngularJS project had more than 200 mock implementations too! And quite frankly, it’s just too much code. Overall, there’s too much manual effort involved, even though the payoff is reasonable. Can we do better? We thought so️! Nested mocks — An ineeda mock is a recursive proxy. That just means that no matter how many properties deep you go, there will always be another proxy waiting for you to manipulate. Methods throw errors by default — Every property on the mock is a callable function that throws an error by default. The basic behaviour of an ineeda mock is almost identical to our handcrafted mock classes. For now, you just have to explicitly set falsy values. Luckily, it’s easy to do! Overriding simple properties. The rest of the proxy still behaves as normal. Overriding more complex values. Note that you can use an ineeda mock within another. Overriding additional values after the mock has been created by using “intercept”. “intercept” can also be used to intercept property access. TypeScript makes it much safer to use ineeda by limiting the power of the underlying Proxy. ineeda is powerful, but there isn’t that much code to it. If you want to know more about how it works, I suggest starting here. An even better test for the MemberSummaryComponent. It uses a ineeda mock instead of the real MemberService. Can we use TypeScript runtime type metadata to provide better default values? What would it take to make it so that we can have falsy values by default? For now though, we’d love for you to check the project out on Github, try it in your projects, and share with us your thoughts, ideas, and any other feedback you might have! mostly just tired. opinions not my own.